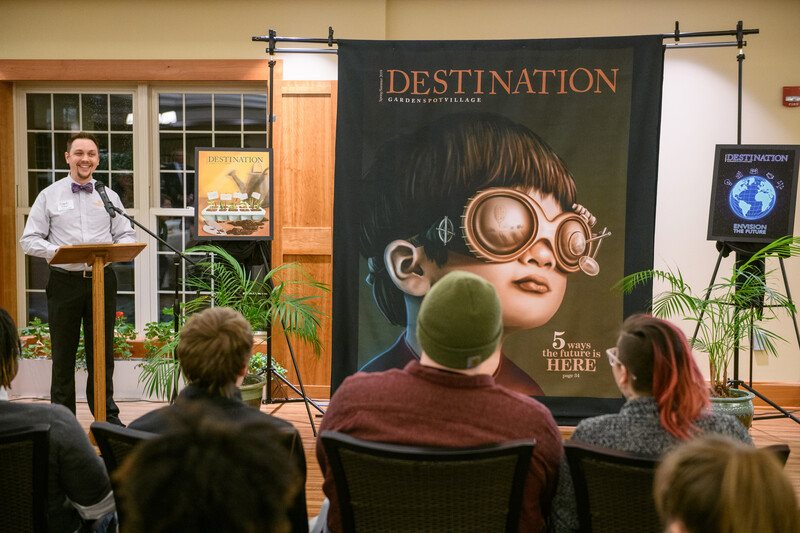 In September, Garden Spot Village, a not-for-profit continuing care retirement community in New Holland PA, reached out to the Illustration department in hopes of working with the students in a magazine, Destination Garden Spot published twice a year. 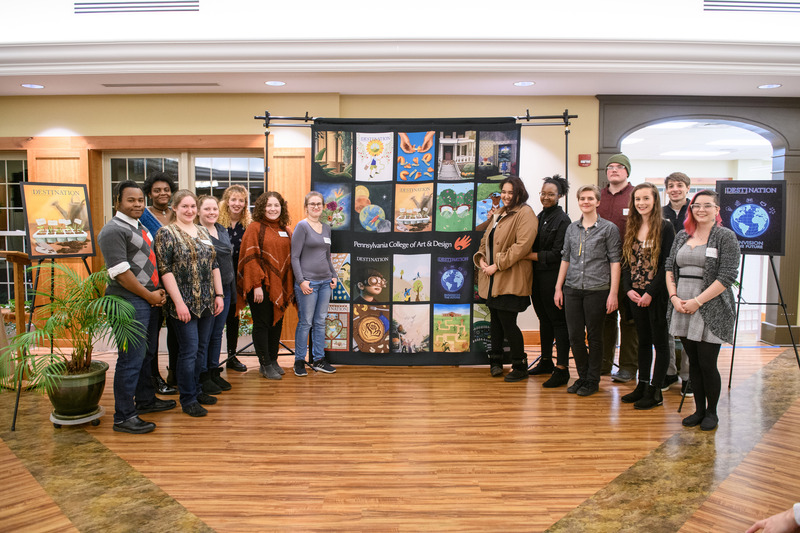 PCA&D Illustration Chair Christina Hess and fellow instructor, Bill Dussinger, brought their senior illustration students to Garden Spot Village to experience the community and learn about the project. Scott Miller, chief marketing officer, and Brandon Adams, graphic designer, presented the vision for the Spring 2019 issue as a recap of the Garden Spot Village Envisioned Future. They shared the five goals for the envisioned future, fielded questions and provided feedback on thumbnail concepts the students prepared for the day. 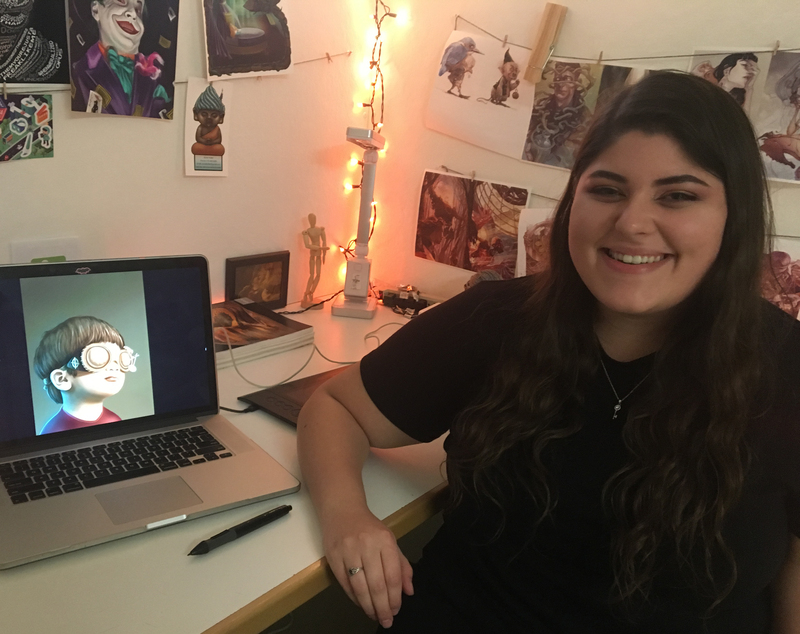 Twenty students each tackled the project with their own unique voices and in October, submitted covers for consideration. 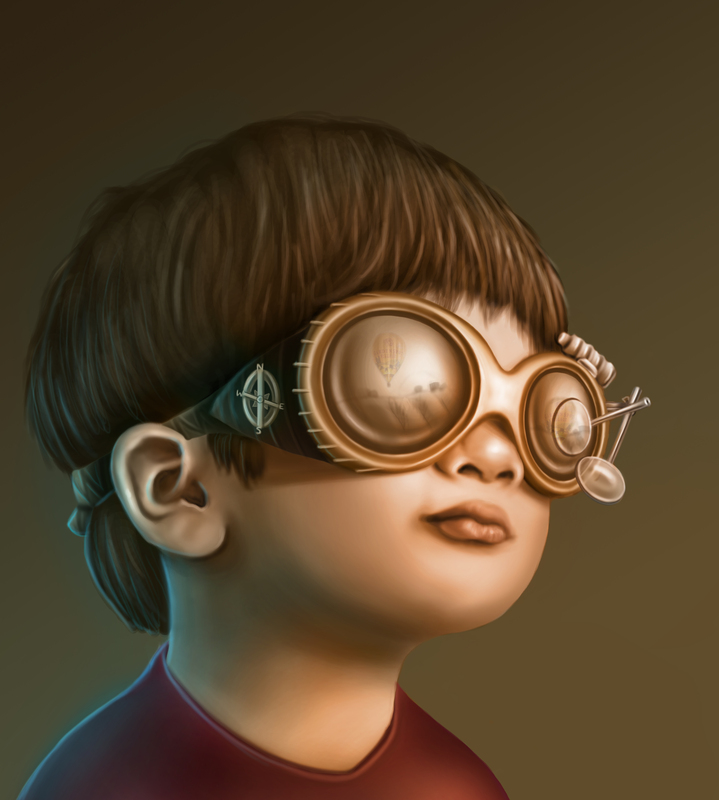 After a careful review of the submissions, the Garden Spot Village Creative Team selected the illustration to grace the cover of the magazine’s spring/summer edition. Annie Troller, a senior illustration major from Effort PA, was this year’s recipient of the Cynthia E Price Memorial Scholarship, named in memory of their wife of J. Richard "Rick" Price and mother of sons Jacob and Jordan, as well as an artist and craftswoman who worked, lived, and loved in Lancaster County, Pennsylvania. The Spring/Summer 2019 Destination Garden Spot Village was released in March 2019. Destination Garden Spot Village reaches approximately 12,000 households. In addition to Annie's work, the magazine also printed the 2nd and 3rd place works by Georgie Rider and Amber Benner. 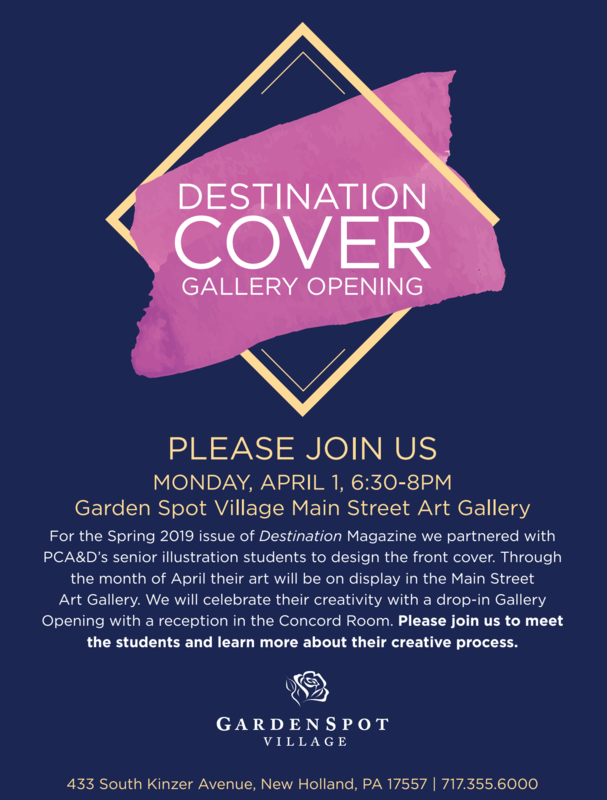 Garden Spot Village is hosting an art opening for the illustration seniors' magazine covers on Monday, April 1st, from 6:30-8 pm. All the artwork from the PCA&D students will be on display, at Garden Spot Village,433 S Kinzer Ave, New Holland, 17557. Read Lancaster Newspaper's coverage about this project.